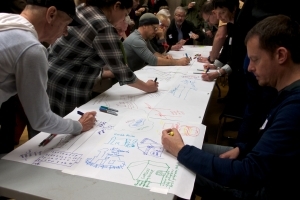 Following a successful first event, WE Arts is hosting the second of three community consultations on April 19 from 1pm to 4pm at the Empire Landmark Hotel on Robson Street. Through creative exploration and dialogue, the consultation process will continue to focus on previously identified priorities and entertain new ideas and recommendations for the West End Arts Plan. This document expresses the community’s visions for expanded arts programming and facilities throughout the West End. As one of the city’s most densely populated neighbourhoods, the West End stands to benefit from the increased social connectivity and economic opportunities gained from an enhanced arts scene. 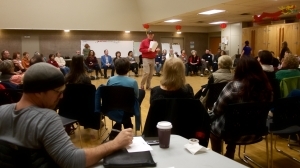 With funding from the City of Vancouver’s Community and Neighbourhood Arts Development grant program, the public consultations offer West End residents the opportunity to define the neighbourhood’s cultural priorities. This free event will allow for all residents (including youth) to shape the future of the West End. 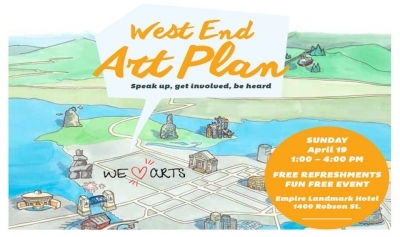 To learn more about WE Arts and the West End Art Plan visit WEArts.ca. To register your attendance, visit WEArts.ca!